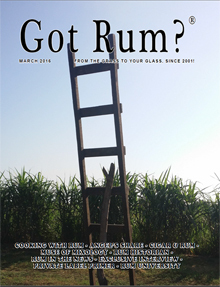 Most issues of "Got Rum?" (see Archives) contain excellent recipes not found in other areas of the website. We also have a large collection of Drink, Appetizer, Beef, Seafood, Pork, Poultry, Soup and Dessert recipes that use Rum as an ingredient. We are dedicated to educating rum producers, rum importers, rum distributors, rum retailers and rum consumers about the many faces of this wonderful spirit. It is through our rum publications, rum seminars, rum consulting services and websites that we have set out to accomplish this mission.